If there is anything that gets most affected by the change of season, it is our wardrobe. There is nothing like picking up the right colour and fabric to cope up with the mercury. While the science of it remains the same, the trends change every year. Here is a sneak peek into the essentials of your fall collection this summer. Combine in different proportions of subtle yet vivid hues, soft pastels and nature-inspired neutral shades. You can think beyond the whites this season. Pick from classic blue, browns, tangerine, to aquamarine, the trend is to have a myriad of variety throughout. Also, as per experts, orange is going to be the new black this season. 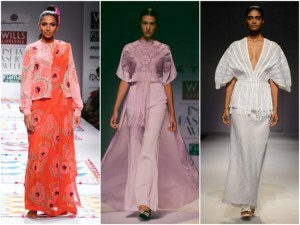 Variations like tangerine, coral and crimson should be part of your wardrobe, especially if you have a fairer skin tone. These colours will enhance it amazingly. Whites will also be there, with added factors of embroidery and silhouettes. So, as the mercury soars this season, go for hot and fiery colours. Gone are the days when cotton was considered to be the season’s pick. Welcome a variety of choice, ranging from silk to sheer. Besides soft fabrics, silk is going to be the season’s favourite. The traditional fabric, heightened with mirror work, resham embroidery, sequins and zardozi, will be the most happening in the upcoming season. Another fabric that is going to rule the charts is sheer. 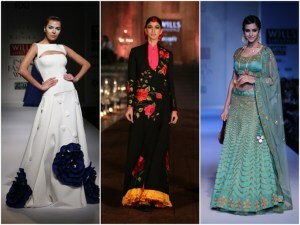 From chiffon saris, net lehengas to maxi dresses, sheer is going to redefine drop-dead-gorgeous. The fabric, along with embroideries and stitch work as mentioned above, will plays on the concept of multiple layers of light to grab the eyeballs this season. 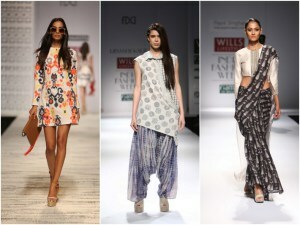 Digital prints have already become a chosen look for Indian couture. Tribal motifs, geometric repeats and floral prints are catching momentum. Floral prints, especially, is getting a fresh lease of life with more and more designers picking it up. Basically, expect a lot of visual drama and movement on the prints this season. But there is something that’s more important than sorting your wardrobe. It is to take care of your favourite clothes. Trust the Maharaja Whiteline product range to ease off your worries. 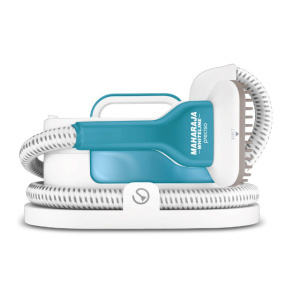 Pick up the Maharaja Whiteline Preciso garment steamer that removes the wrinkles from your clothes in a jiffy. Just what you need for your silks and cottons. So while you take care of the prints and colours, the appeal of the fabric is taken care of. So this season, we hope you bring up the heat by a few degrees with your looks, style and sense of fashion. Here is wishing you a fashionable summer 2015!